Wild Goat Bistro is a charming cafe located just steps from the riverfront in downtown Petaluma. Serving up gluten free options galore, Wild Goat Bistro offers the lunch items you’re used to drooling over before having to order a salad without croutons. Gourmet pizzas, inspired sandwiches, and even pasta is all available sans gluten. Their in-season pizzas are topped with mouthwatering combinations like fig & goat cheese or grapes & gorgonzola with a pinot noir reduction sauce. 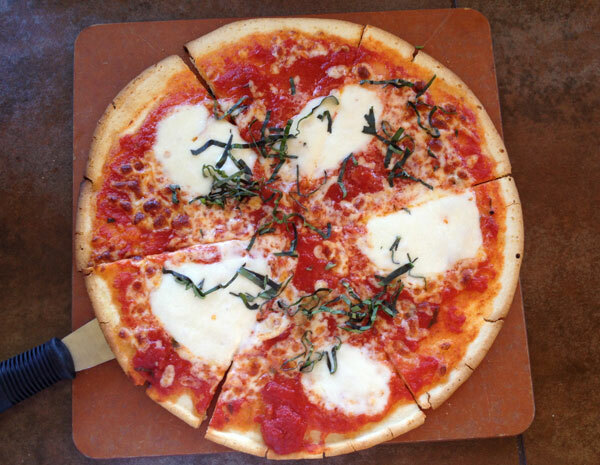 Craving a traditional pizza, I opted for their margherita and loved it. I was also delighted to find that a few of their beautiful cakes on display were gluten free. 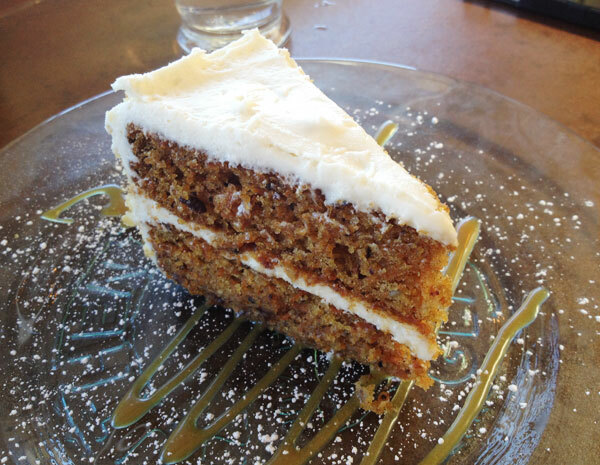 The carrot cake was utterly fantastic. *Wild Goat Bistro offers Still Riding Pizza crusts for all of their pizzas (aside from the one with meatballs) and local artisan gluten free bread for sandwiches.